Come visit us at Albert's Diamond Jewelers today! Make an appointment with our premier DCA Certified and GIA Graduate jewelry consultants HERE ! A client specialist will contact you within 24 hours. If you have any further questions, please do not hesitate to call at 219-322-2700. We look forward to serving you! Store hours and maps are available for our Schererville and Merrillville locations. You have 30 days to be 100% sure of your purchase. Albert’s stands behind every item we sell. We want you to experience total satisfaction with your purchase. If you are not 100% satisfied, call us, request a Refund Authorization Number and return it within 30 days from the delivery date. We will happily refund your money in full or exchange the item with no questions asked and no restocking fee. Click HERE for more details. Albert’s jewelry layaway plan allows you to make up to 6 monthly payments in order to purchase an engagement ring or other piece of fine jewelry. When it comes to loose diamonds, you won't find a better selection, better quality or better price anywhere. If within 30 days of your purchase, you find a loose diamond anywhere in the United States with the same specifications, graded by the same gemological laboratory and at a lower price. Albert’s Diamond Jewelers will beat the price by 10% of the difference. If unable to beat the price, we will refund your money. Albert’s Diamond Jewelers is proud to offer Free FedEx 2-Day shipping when you spend $99 or more on our website. Once your order is processed, your order will be shipped and arrive at your designated shipping destination. All shipped orders require an adult signature at the time of delivery. The required signature is to protect the delivery of your Albert's purchase. Albert's sells and ships within the U.S. only. Bring in your old gold and unwanted jewelry to Albert's Diamond Jewelers! Voted #1 in the region for 24 consecutive years! At Albert's, we celebrate a 100 year tradition of integrity, exceptional service and pay the highest prices for your gold and diamonds. Our estate buyers will do a free evaluation for one piece to an entire estate. We specialize in diamonds of all sizes and shapes. So, whether you want to buy sell or trade, we are the place to be. Please visit our Schererville or Merrillville location for a free consultation. Click HERE to sell to us today! Store hours and maps are available for our Schererville and Merrillville locations . Sell Your Diamonds, Jewelry & More! All products are subject to price change and availability. Albert's Diamond Jewelers reserves the right to limit quantities. Any typographical, photographic or other errors are subject to correction. For all prices and products, Albert's Diamond Jewelers reserves the right to make adjustments due to errors, changing market conditions, product discontinuation or typographical errors. Please fill out the form below and a PANDORA specialist will contact you regarding the as soon as possible. Make an appointment or contact us for more information on PANDORA. 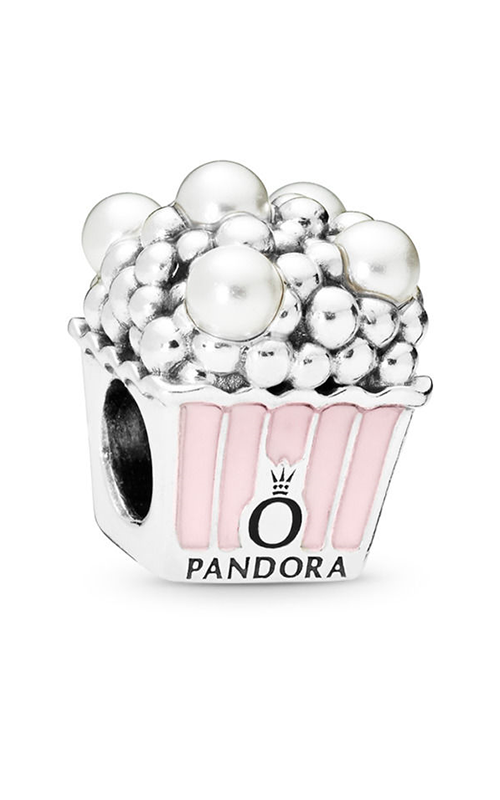 Please fill out the form below and a PANDORA specialist will contact you regarding the PANDORA Delicious Popcorn Charm, Pale Pink Enamel & White Crystal Pearls 797213EN160 as soon as possible.